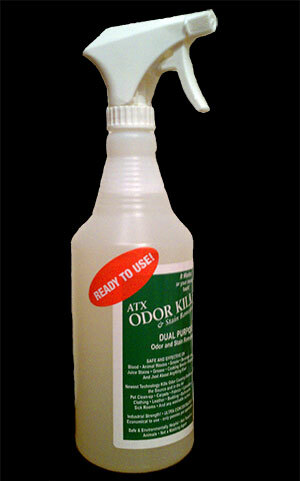 Odorkill - Permanently removes Odors & Stains from Urine, Vomit, Feces, Blood, Grass, Smoke and more! Permanently removes Odors & Stains from Urine, Vomit, Feces, Blood, Grass, Smoke and more! 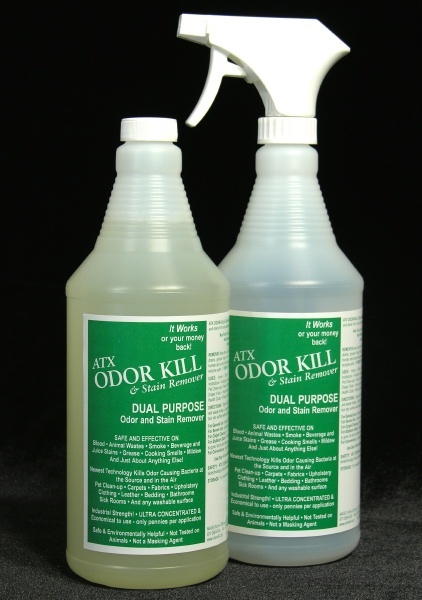 ATX’s Odor Kill & Stain Remover eliminates all organic odors and stains from any washable fabric or surface, including carpets. Ultra concentrated, water based product, specially formulated to eliminate objectionable odors in household, institutional and industrial settings. It can be used as a direct spray on all surfaces and it can be used as an air freshener. 100% Money back guarantee. It is the most advanced technology in odor and stain removal. NEW —- Introducing the Most Advanced Innovation In Odor and Stain Removal Technology! The Power of Science and Nature in Balance. SEEKS OUT & KILLS ODOR CAUSING BACTERIA AT THE SOURCE AND IN THE AIR ! All major classes of malodors are eliminated: Sulphide (rotten eggs, rotting vegetables), cat urine, perspiration, rancid butter, tobacco, ammonia, Dimethylamine, Trimethylamine (ammoniacal, rotting fish or meat, aged urine). It is NOT a masking agent or cover up. It does NOT anaesthetize the nose. It simply goes to the source of odors and stains to digest and eliminate them permanently. 1. It uses advanced chemistry to encapsulate and bind the mal odor airborne and surface molecules for immediate odor control and elimination. 2. It uses the microbiology of naturally occurring multiple teams of self generating bio chemical enzymes to synergistically digest the organic compounds that cause odor, breaking them down to benign, odorless compounds such as carbon dioxide and water. Organic residues + ATX Odor Kill> CO2 + H2O. 3. It uses enhanced specific surfactants (soaps) to prevent re-soiling of carpets and fabrics. It is safe, 100% water based – No protective masks or clothing is required. Non flammable. Non Toxic. Non Corrosive. Natural Organic Bio- Degradable. Non Polluting. No CFC’s. Non Pathogenic. Hypo- Allergenic. Environmentally Helpful. Safe for use on pets. (avoid eye contact.) 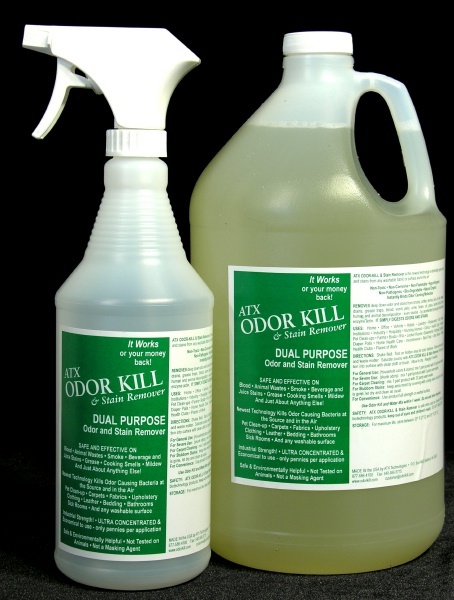 During product development, Odor Kill was not tested on animals. 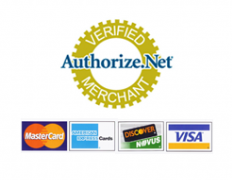 It was tested approved and is currently being used in the home, industrial and commercial applications daily. Directions for use: Industrial Strength – Super concentrated and very economical to use. Mix 10 parts warm water and 1 part ATX Odor Kill for optimum results. Water is a catalyst which awakens the bio-chemical enzymes for aggressive action. For convenience, it can be applied directly to the source of the odor and stain. It always works faster when you first saturate the site with warm water. The root causes of odor are the production of chemical and biological by-products which emit negative odors, such as ammonia from urine, rotting meat and fish; sulfides from rotting vegetables and eggs; and volatile fatty acids from perspiration, grease and rancid oils. Odors are then perceived when the odor-causing molecules become airborne and interact with the olfactory receptors in the nose. In the case of pet lovers, that interaction is produced by urine. For restaurateurs, the common culprit is cooking grease, while those in the sanitation field are all too familiar with the rancid smell of rotting food. 1. They must be volatile able to pass into the vapor phase- so that they can travel through the air to the nose. 2. They must possess chemistry, which stimulates the olfactory receptors in the nose. A. Masking the negative odor with a more appealing fragrance, thereby introducing a second layer of “odor” Such treatments do not decrease odor; rather they actually increase it by adding a high level of a less objectionable odor to overpower the malodor. Unfortunately, the effect may be overpowering, or only slightly less objectionable than the odor which was originally present. B. Anaesthetizing the nose receptors is another common method consists thanks to volatile, flammable chemicals, (i.e. citrus) so the receptors cannot function. This is done by introducing a chemical into the air that actually deadens the receptors in the nasal passages so they temporarily no longer function. (Which means, if any good odors come your way, you can’t smell those either!). But odor-masking perfumes and chemicals that deaden receptors in the nose wear off, and the odor returns, because its cause persists. 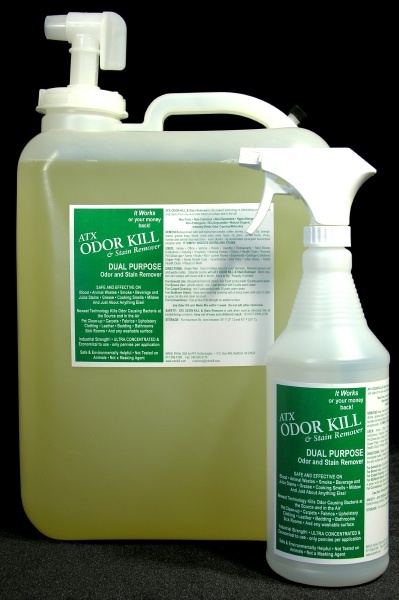 ATX’s Odor Kill is a major departure from these earlier odor masking methods, Odor Kill technology acts in a unique and revolutionary way. It actually destroys and digests odors – not mask them. This action is accomplished in two ways: First, a fast-acting neutralizer binds with the odor-causing molecules by seizing the airborne molecules and then preventing the source molecules from being vaporized and producing odor — providing immediate relief. Second, the real active ingredient kicks in, a proprietary microbial biotechnology blend of self generating enzymes which degrades the odor-causing molecules, destroying / digesting and converting them into harmless cell components of carbon dioxide and water. This combined synergistic chemical and enzymatic/microbial effect makes ATX’s ODOR KILL technology mega powerful, yet very safe for humans and animals and super environmentally friendly. It is simply, rapidly accelerating Mother Nature’s decomposition process. 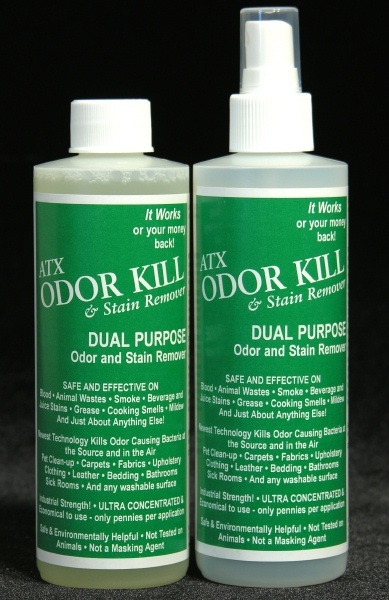 ATX Odor Kill & Stain Remover also contains sophisticated, non-re-soiling cleaning capabilities designed specifically for carpet, drapery and upholstery stain removal. Fragrance Very, very mild, clean lemon fragrance which dissipates completely in 15-20 minutes after application. It does not leave a residual fragrance. Storage and Handling: Store in a cool dry place. Avoid eye and skin contact. Apply as direct spray or in an atomizer.